August 28, 2017 at 6:36 pm. 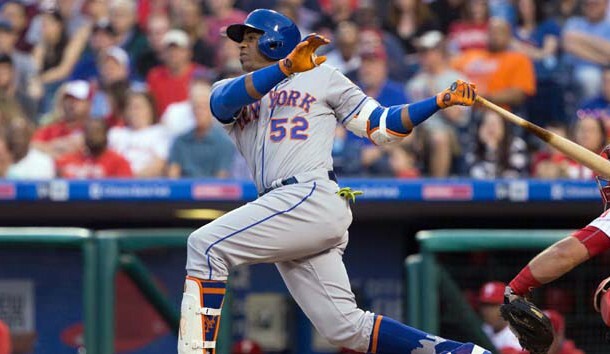 Cespedes was placed on the 10-day disabled list on Saturday, and he had an MRI exam on Monday that confirmed the extent of the injury. Cespedes should be recovered in about six weeks, but that would be after the regular season is over. The Mets have virtually no chance of reaching the postseason. The 31-year-old Cespedes hit .292 with 17 homers and 42 RBIs in 81 games this season. The Mets also received disappointing news regarding third baseman David Wright. He had been on a rehab assignment, hoping to return this season after neck surgery last year to repair a cervical disk herniation. However, Wright has put a halt to his rehabilitation attempt, at least temporarily. Wright played designated hitter for Class A St. Lucie on Aug. 22, then played consecutive games at third base on Friday and Saturday, but he did not play the next two days. He is a combined 1-for-10 through three games. Wright, 34, has not played for the Mets since May 2016. He will be re-examined in New York later this week.